It’s a BMW shooting brake for the modern ages. Have you ever seen an odd BMW shooting brake that looks like a cross between a Z3 and a dress shoe? It’s the BMW M Coupe, a short-lived shooting brake the automaker produced from 1998 to 2002. Designers had a difficult time getting the project approved for production, having to share many parts with the two-door roadster that served as its basis. The M Coupe disappeared from the marketplace the same year as the Z3, but with BMW bringing a successor to market – the 2019 Z4 – here’s a look at a reimagined M Coupe based on the new car. It looks epic. The rendering looks miles better than the original M Coupe. The proportions are better, giving the new Z4-based M Coupe a sportier, more aggressive appearance. It appears long and low, countering the original M Coupe’s boxy, upright, and iconic proportions. 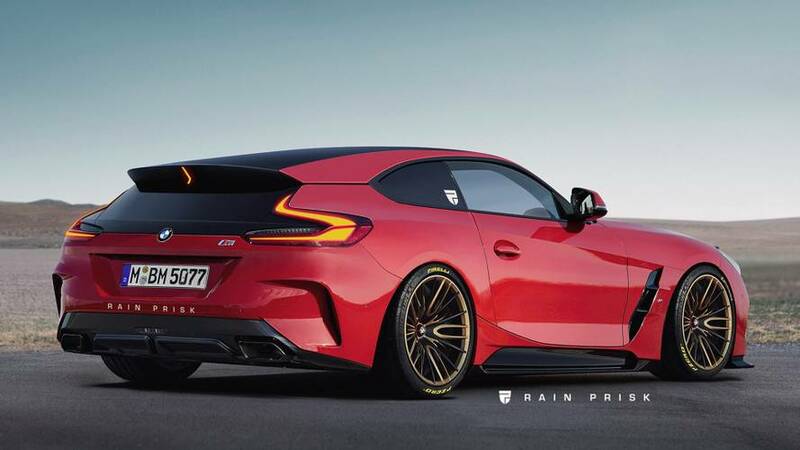 Instead of looking like a tacked-on rear end, the M Coupe rendering gives the illusion the car was designed for such a body style, which makes it attractive to look at. The slick lights, integrated high-mount light in the roof-mounted spoiler, wide dual exhaust tips, and aggressive ground effects make the M Coupe rendering appear ready for production even though it’s vaporware. Sadly, this is just a rendering. While it has the looks to represent a modern-day BMW M Coupe successor, the likelihood of such a car entering production is slim. Designers had difficulty 20 years ago getting the model okayed for production, and a lot has changed in the industry since then. Consumers are flocking to crossovers and SUVs, and something like the M Coupe is niche, especially as a car. Renderings are always fun to look at as they give us a glimpse into an alternate automotive reality where the wildest of creations have a chance to become a possibility. The BMW M Coupe rendering looks sweet. It’s sad it’ll remain a rendering, though.